i was looking for a small, rigid hardware controller for Capture One 12 and was not satisfied with what is available. I saw several projects using the Behringer controller for Lightroom but did not find a working solution for Capture One and I had to build a preset for Bome Midi Translator. Maybe someone has some ideas to make the setup even more usable. The are two layers of controls. The slider will toggle proof mode. The zip file contains the preset for Bome, a keyboard shortcut file for Capture One, a printing file and the mask for a plot. - No feedback from Capture One to set the leds around the knobs. - The feedback to turn on the lights when selecting a color is dependent on system latency - it is set to 150ms. I use a Arturia Beeatstep, really makes editing a pleasure. Just wish some of the sliders could go in smaller increments. JasonP wrote: I use a Arturia Beeatstep, really makes editing a pleasure. Just wish some of the sliders could go in smaller increments. That's what I use as well. I just wish there was a version with more knobs, I use those far more than I do the buttons. 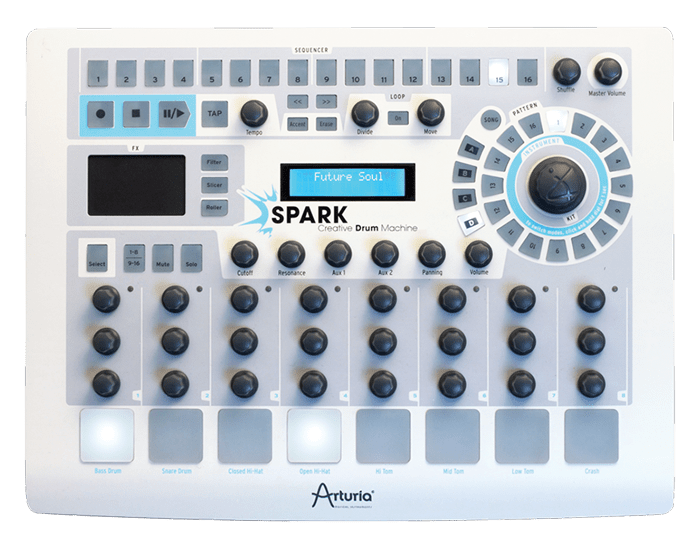 I did purchase the Arturia Spark Spark for this reason, but I could never figure out how to write the file to import into it so that I could get it to work like my beatstep. 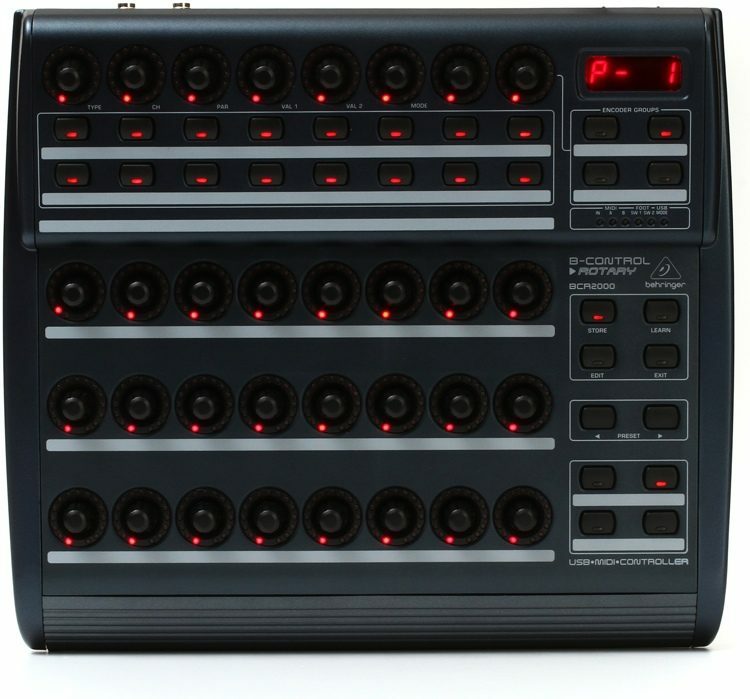 Then I bought a Beheringer BCR-2000 but i havent had the time to try to figure that one out either. JasonP wrote: That's what I use as well. I just wish there was a version with more knobs, I use those far more than I do the buttons. With the Beatstep have you implemented a shift function to double the number of knobs? Initially I used one of the pads, but now I use the caps lock key (has to be kept pressed like a shift key). No, I didn't know that was possible, does that interfere with shortcuts inside capture one that use the shift key? Or does that shift key only operate within the controller itself? One of the reasons i was really hopeful for the Spark was that it has 24 standard knobs that can each be assigned twice based on the 1-8/9-16 button. Plus it just has a ton more buttons which would be nice for changing the cursor tool. While on the topic since you seem far more knowledgeable about this than I. Is it possible to use more than one Beatstep at the same time? They would enumerate with the OS as a unique device, and the Arturia software would see them as unique devices. Any idea if Bome could handle that? Hi, I downloaded everything but can't make it work. For some reason, exposure decreases when I turn the knob several times and doesn't increase at all. Also I didnt get where should I add these lines (5 and 6). I've run into this as well, but in reverse. You'll need to diagnose if its a software or hardware issue. In my case its a hardware issue. If you open up Bome Midi Translator and monitor the output you'll see the messages that its sending. In my situation the knob is not sending the proper signals when I turn counterclockwise by one notch, and is sending multiple signals when I turn clockwise by one notch. That's a hardware problem. If you dont see that, then check to make sure the keystroke in BOME exactly matches what you set in Capture one. Sometimes a random space or other keystroke will end up getting in one of them. If you're seeing the same type problem that I'm seeing in BOME, then its a hardware issue. The potentiometer in the Beatstep is not working as it should. If its under warranty, contact Auturia and explain the situation, if you're no longer under warranty like I am. Either deal with it, or find another device. I'm planning on keeping an eye out for broken units so I can swap out that single component. No it doesn't interfere with anything if you use a pad as the shift key or the keyboard caps lock key but by using the caps lock key you save a pad. Yes, I think you can use more than 1 input but I have not done this.